MOVIE TRAILERS, - A trailer or preview IS AN ADVERTISEMENT OR COMMERCIAL FOR A FEATURE FILM that will be exhibited in the future at a cinema. THE TERM "TRAILER" WAS USED BECAUSE THE ADVERTISEMENT OR UPCOMING FILM PREVIEW WAS ORIGINALLY SHOWN AT THE END OF THE FEATURE FILM. However, that practice DID NOT LAST LONG, BECAUSE PATRONS TENDED TO LEAVE THE THEATER AFTER THE FILM ENDED, but the name trailer stuck, and now as we all know trailers are shown before a feature film begins. Movie trailers have NOW BECOME POPULAR ON DVD'S AND BLU-RAY DISCS, AS WELL AS ON THE INTERNET AND MOBILE DEVICES....Thank God for Al Gore's (LOL), Internet and the invent mobile devices! 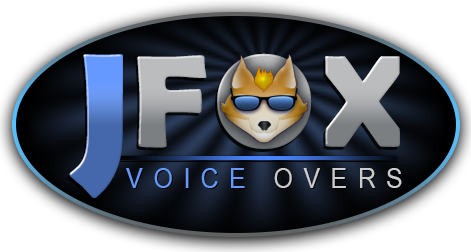 OF SOME 10-BILLION VIDEOS WATCHED ONLINE ANNUALLY, FILM TRAILERS RANK #3, after news and user-created video.....ANYONE NEED A YOU TUBE VOICE OVER JUST TEXT ME! THE FIRST TRAILER SHOWN IN A U.S. FILM THEATER WAS IN NOVEMBER 1913, when Nils Grunland, advertising manager for the Marcus Loew theater chain, PRODUCED A SHORT PROMOTIONAL FILM FOR THE MUSICAL THE PLEASURE SEEKERS, opening at the Winter Garden Theatre on Broadway. Loew adopted the practice, WHICH WAS REPORTED IN A WIRE SERVICE STORY carried by the Lincoln Nebraska Daily Star, describing it as "AN ENTIRELY NEW AND UNIQUE STUNT", that would take the place of most bill board advertising"! So let me get this straight, - THE FATHER OF MOVIE TRAILERS WAS A COUNTRY BOY FROM LINCOLN NEBRASKA....wonder what he got paid for that gig? 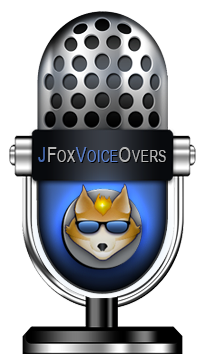 Movie Trailers are only part of what we do at jfoxvoiceovers.com, so give us a listen and CALL US WITH YOUR MOVIE TRAILER IDEA....Big Budget or small we do them all at jfoxvoiceovers.com, - Thanks for checking us out!